VITTIMOLOGIA E ANALISI DELLA SCENA DEL CRIMINE. LA PSICOPATIA E I DISTURBI DI PERSONALITÀ NEI CRIMINALI. SETTORI DI APPLICAZIONE DELLA CRIMINOLOGIA CLINICA: LA PERIZIA. PROFILI DEI MINORI AUTORI E VITTIME DEI REATI. 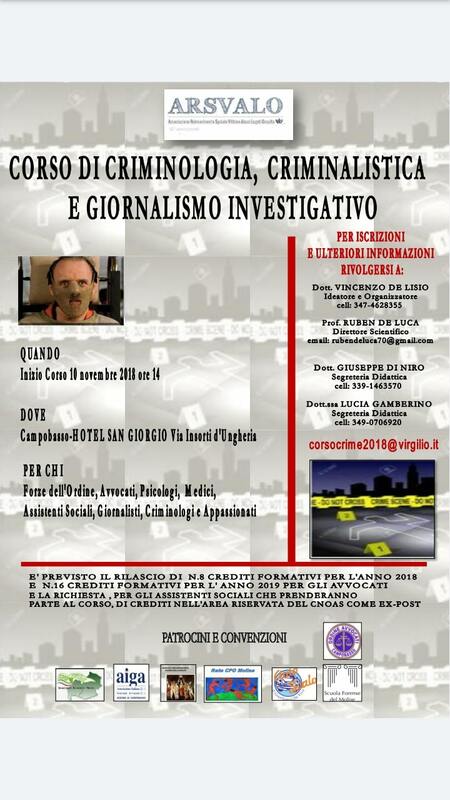 INFORMATICA FORENSE E CRIMINOLOGIA DIGITALE. IL “PROFILO GEOGRAFICO”: GLI STUDI DI DAVID CANTER. JACK LO SQUARTATORE E LA “RIPPEROLOGIA”. OMICIDI SERIALI E DI MASSA. COME RICONOSCERE UNA RELAZIONE PATOLOGICA.